Monday December 10, 2018 - Deputy President William Ruto has told his sycophants obsessed with the 2022 succession politics to stop it now because the future is uncertain with the current political events in the country. 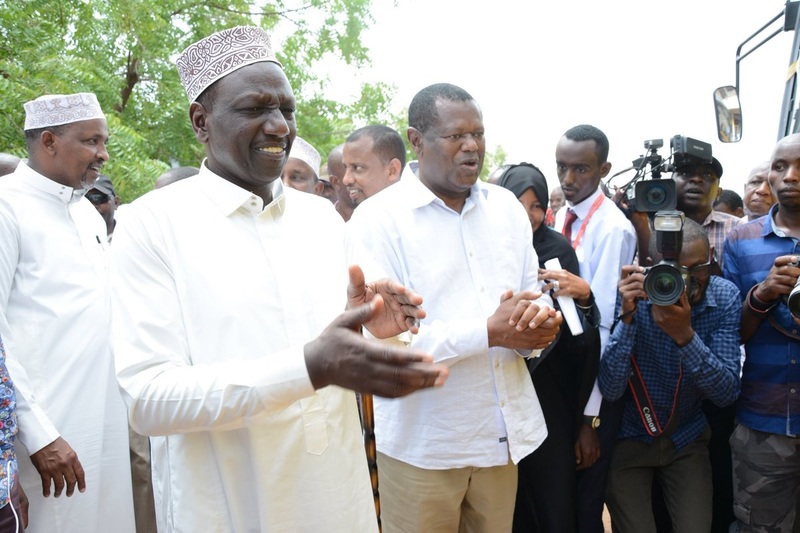 Ruto instead urged his supporters and leaders to focus on serving the electorate. Speaking yesterday, Ruto said he was, for that reason, more focused on delivering the Jubilee administration's development agenda and urged other leaders to do the same. “We need to work for the people,” he said. Ruto was speaking at a fundraiser towards the construction of a cathedral at Christ the King Catholic Church in Bungoma town yesterday, where he donated Sh2 million and delivered a further Sh1 million from President Uhuru Kenyatta. He was accompanied by Bungoma Governor Wycliffe Wangamati, MPs Wafula Wamunyinyi (Kanduyi), Enock Kibunguchi (Likuyani), Didmus Barasa (Kimilili), James Lusweti (Kabuchai), Mwambu Mabonga (Bumula), John Waluke (Sirisia), and MCAs.